Pineapple is a tropical fruit that works in many frozen dessert recipes. Adding pineapple to vanilla ice cream and milk makes a wonderful milkshake. It’s a great summer treat that adds a refreshing note to the typical shake. You can experiment with the flavors and ingredients until they suit your tastes. Add the milk and pineapple to a blender. Pulse until pineapple is broken up and incorporated into the milk. Add the ice cream and continue to pulse until all ingredients are well combined. Pour into a large glass and enjoy. Top with a slice of pineapple or some fresh whipped cream. Canned pineapple works just as well as fresh does in this recipe. Look for pineapple that is packed in juice instead of in syrup, because it will have a more natural flavor and your shake won’t end up overly sweet. If fresh pineapple isn’t in season or available at your local store, canned and frozen versions will do just as well. 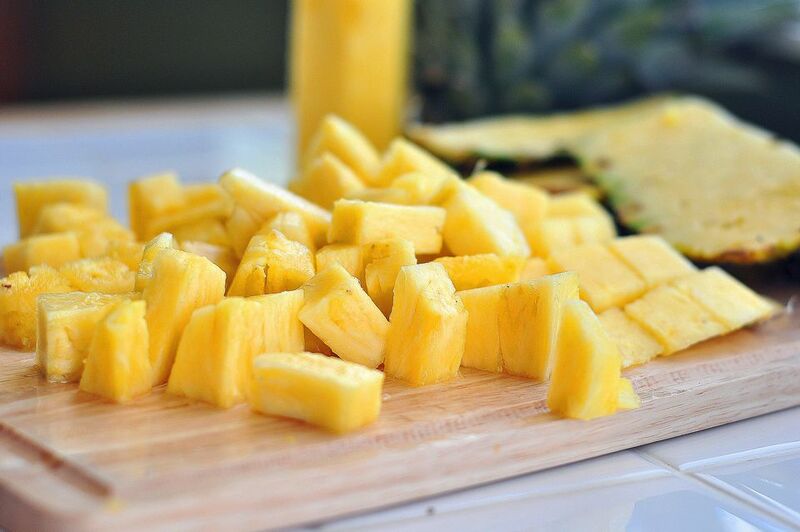 Make sure to defrost frozen pineapple before blending. Adding spices can be a great way to incorporate a little extra zing to your milkshakes. Pineapple milkshakes can be enhanced with a pinch of cinnamon or ginger. These warm spices make the shake even more refreshing and delicious. Don’t overdo it, though; an eighth of a teaspoon would be plenty of cinnamon or ginger for a recipe of this size. While this recipe calls for blending the pineapple until it is fairly smooth, you can always leave bigger chunks and eat your shake with a spoon. If you want it thick, blend the pineapple on its own first, then add the ice cream, then decide how much milk to add.